A 5-day self-drive tour that offers not only great opportunities for Northern Light Hunting, with 2 nights in the countryside of south Iceland but also some of the most spectacular highlights to be found in Iceland. 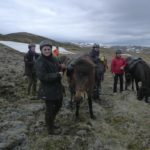 Three iconic and majestic waterfalls; Gullfoss, Skogafoss and Seljalandsfoss, the national parks of Thingvellir and Skaftafell, black sand beaches, views of glaciers and of course Jokulsarlon glacial lagoon and the Diamond Beach. Upon arrival in Iceland, you will pick up your rental car at Keflavik international airport and drive to your accommodation in Reykjavik. Drive east along the south coast of Iceland towards the towns of Hveragerdi and Selfoss. Further along the way stop at the inspiring waterfalls of Seljalandsfoss and Skogafoss – two of the most renowned waterfalls in Iceland. 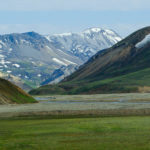 The drive continues at the foot of Eyjafjöll mountains where the infamous Eyjafjallajokull volcano rests under the glacier of the same name. Drive on to the village of Vik. On the way, you can stop at Reynisfjara black sand beach with a view of Reynisdrangar cliffs in the sea and the Dyrholaey promontory. Today’s accommodation is in a country hotel near to the area of Vik. The hotel is situated in a rural location away from the village, and so offers the excellent possibility for observing the northern lights if they appear during your stay, directly from the hotel. Today you will drive across the black sands, glacial rivers and moss-covered lava fields east towards Kirkjubæjarklaustur. Crossing Skeidararsandur we reach Skaftafell, a part of the Vatnajökull National Park, the largest national park in all of Europe. One of the main attractions in Skaftafell is Svartifoss waterfall. From here you also get the best view of Hvannadalshnjukur – Iceland’s highest peak. Continuing at the foot of Vatnajokull you reach the Jokulsarlon glacier lagoon with thousands of icebergs of different shapes, sizes and colors slowly moving from the calving glacier towards the sea. Following the river, we reach the ocean and the “Diamond beach” where large pieces of glacial ice glitter impressively on the black sand before they melt or are washed away by the sea. Finally, continue to Reykjavik for the last overnight. If your flight departs late afternoon, then you can add an optional whale watching boat tour in the morning, drive around the Reykjanes peninsula or visit the Blue Lagoon before dropping off the rental car at Keflavik airport.